Our speciality is working exclusively with you, the Bride to be. 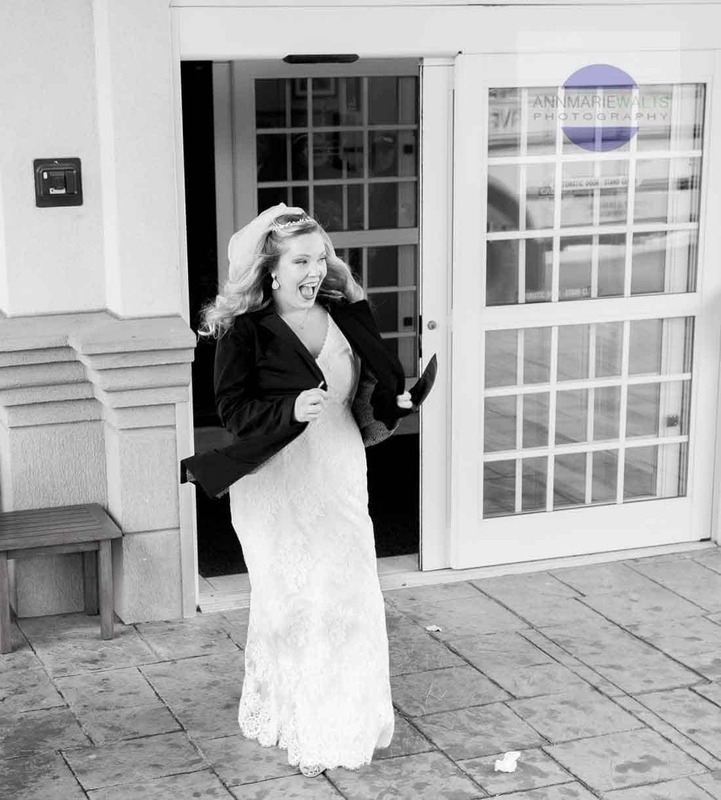 Our Special Occassion Styling services are available when you get any of our hair extensions services, chemical services and or corrective color services prior to your wedding. 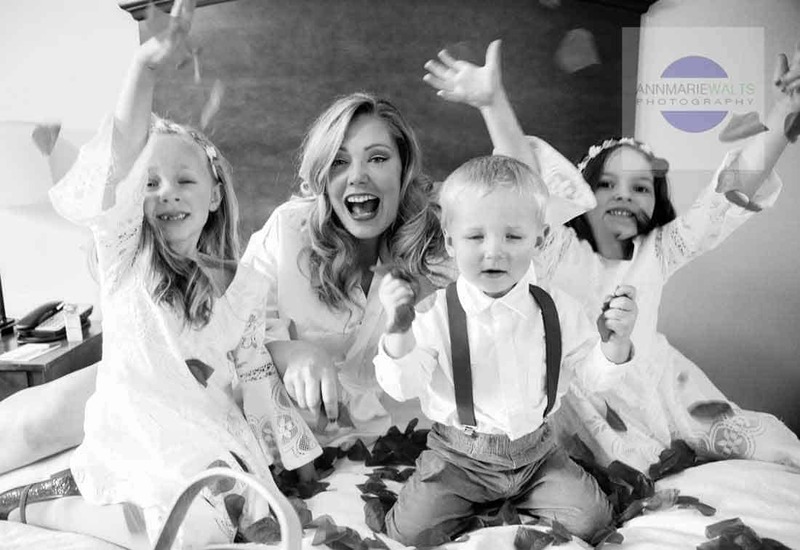 Our focus is on just the bride, and are not able to take care of an entire bridal party. We specialize in complete makeover packages. We do not offer quotes over the phone or through email. Please schedule a consultation. First of all….Congratulations is in order! Planning and design your beauty look is so extremely important. The unique “How” and “What” our studio(s) have to offer is a bit different than a traditional setting. We apologize in advance…..if you are seeking services a large bridal party then we are not able to accommodate that large of a need. However, please…please do not rule yourself out. 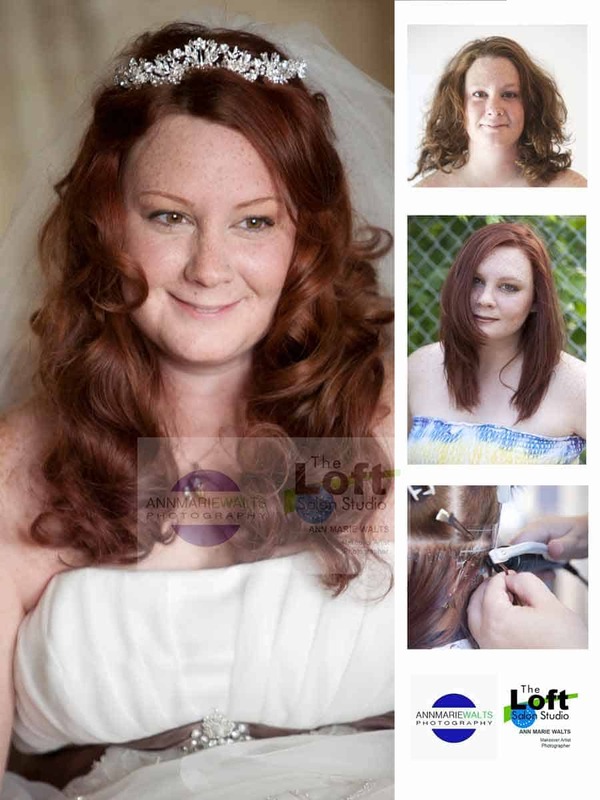 We only offer services to just you….the bride for hair color, hair extensions, and smoothing treatments. Our special occasion services are only available in addition to getting a makeover service. Our approach is transforming the health of your hair…to it’s color, and length. 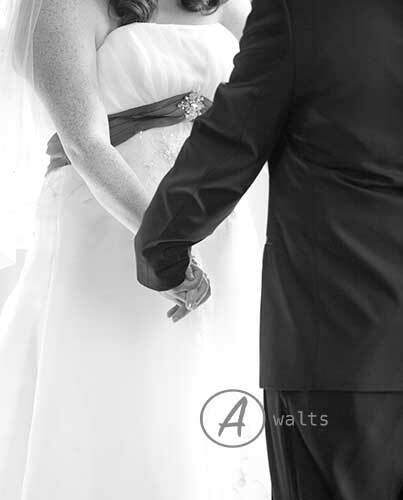 Then seeing you off, and down the aisle. What does your dream hair look like? Are you now finding that you need to fix your frizzy hair, hair color or you wish your hair was longer? If you are someone that only wants the best of everything, then we have so much to offer to you! Our very private setting will provide you the undivided attention that you deserve. 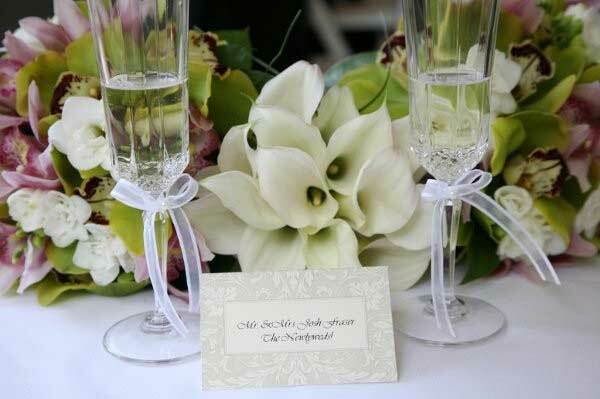 Our expertise is in catering exclusively to you the bride. Customizing YOUR LOOK? …….THAT IS OUR STRENGTH. 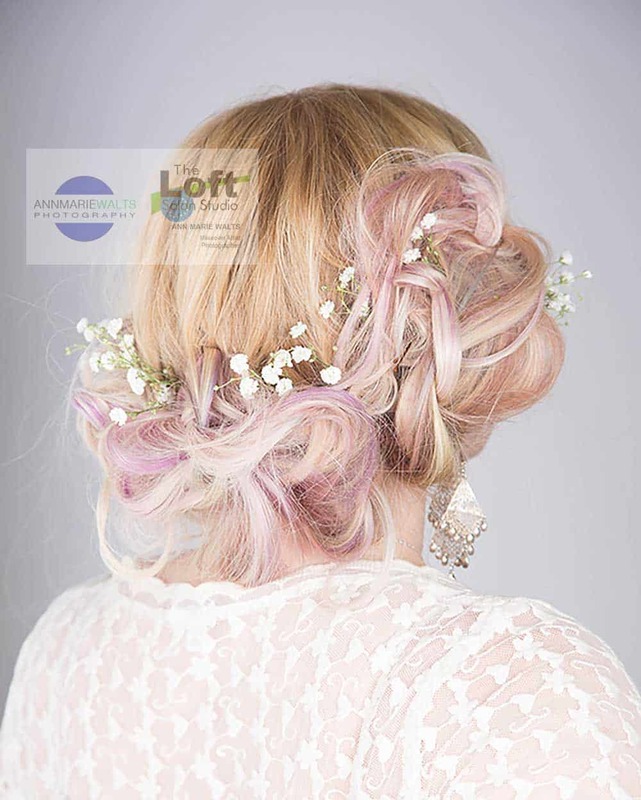 The Loft Salon located in West Springfield is by far the best around. 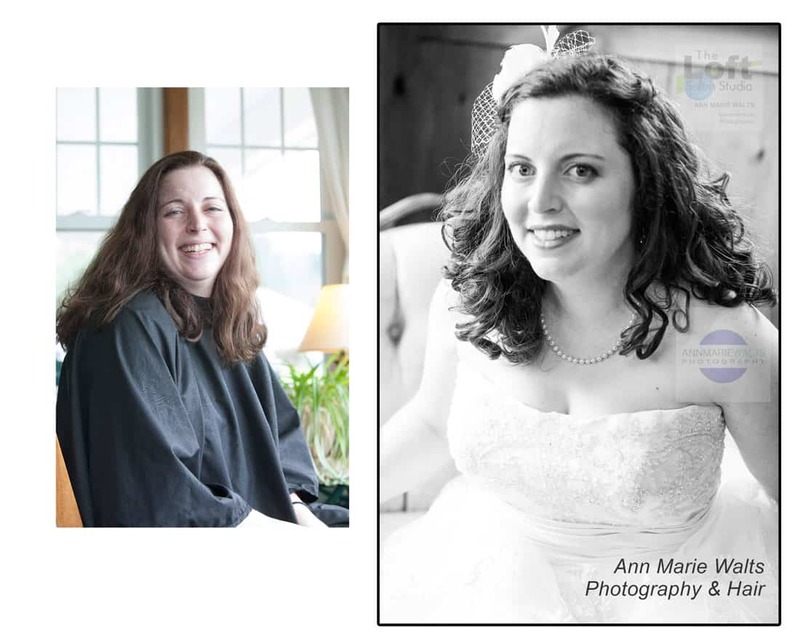 I met Ann Marie almost a year ago when I walked into her salon for a consult for great lengths hair extensions. Ann Marie was very welcoming and the salon had a fun and relaxing feel to it. My hair was very damaged and Ann Marie recommended a few steps before doing my extension work. Ann Marie did a retro straightening on my hair as well as color correction with Schwarzkopf hair coloring. After treating my hair is was soft and gorgeous, Ann Marie then went ahead and placed my extensions. She picked out colors that would work with my skin tone and made my eyes pop. The work was gorgeous. 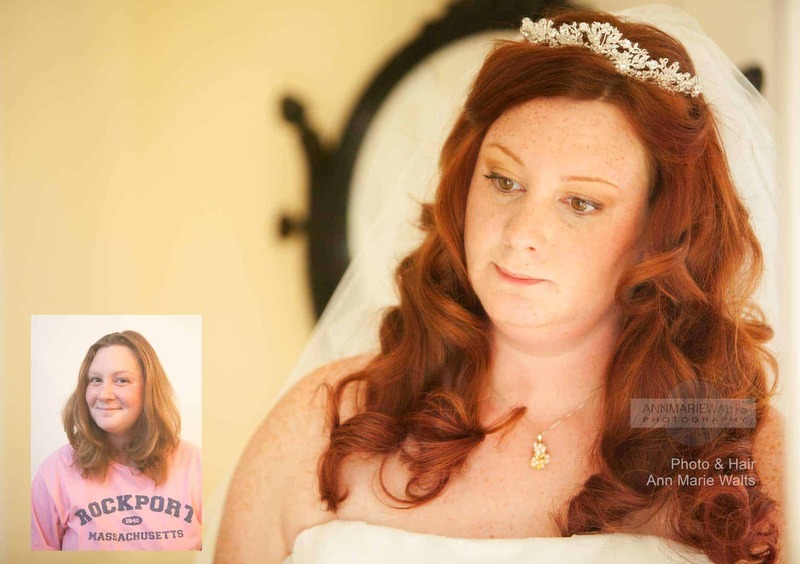 Ann Marie also did my hair, makeup and photos for my wedding. I couldn’t have been more happy with the results. She took her time and was caring to my needs. She made my look gorgeous on my special day and nobody could even tell the extensions were placed. They looked so real. Recently I had an extension removal with corrective cut and color. Our focus is working with you, and primarily you. Our every day to day salon visits offer a pampering and private appointment atmosphere. What that means is that we do not double book our appointments. 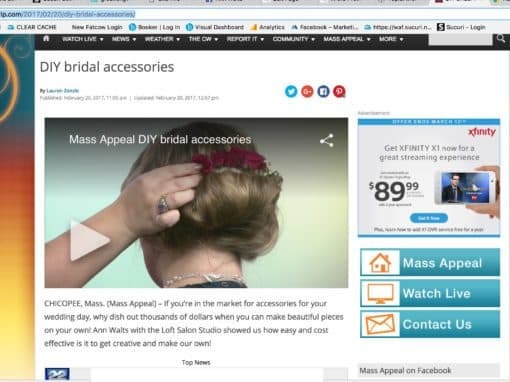 What if I have a very large bridal party that needs hair and makeup? Our primary focus is to be on you. We work exclusively with just the bride. If you need more than that, we can have a couple of area professionals that can work with us to try to accomodate you. 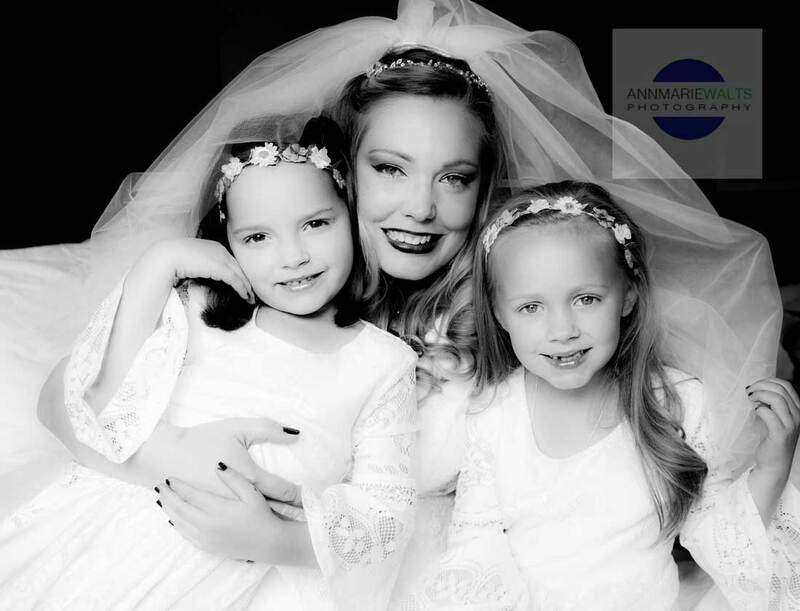 If you are a bride that will need to work with someone to provide you comfort and to pamper you, then we fully understand that all of your planning that leads up to your day…..is so important. It is an exciting time, and there is a very high chance that emotions will be high. Your Bridal Hair, Hair Color , Makeup, Lash Extensions, Manicure, Pedicure and Photography have to capture your creative vision(s). Your hair is one of the key parts of your experience. Your hair is so important because the focus will be on YOU, for your wedding day! We can help you design accesories! Consultations are necessary to customize your experience and services. With all that we have to offer, you really can be catered to, and all in one place. The convenience of knowing that you can step out of the salon, feeling pamper and looking beautiful, to being escorted to your wedding for the beginning or we can be with you throughout the entire event. Your peace of mind to have a relaxing day…is our #1 goal!